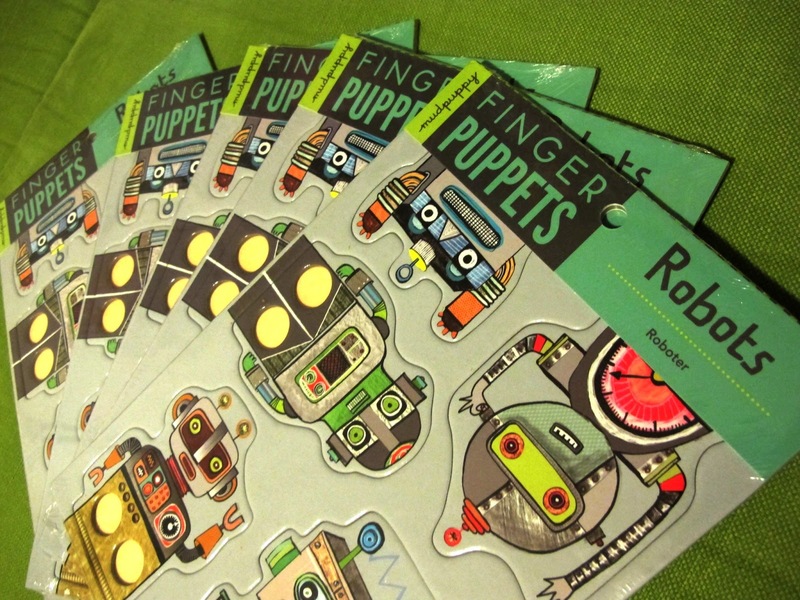 a while back i illustrated 5 robots for mudpuppy to add to their cool cardboard finger puppet range. i recieved some in the post the other day and here they are! i am really pleased with the way they have turned out. a quick road test…. dah dah! on their website they appear to have made a typo as i am not credited as illustrator…. am going to email them pronto to rectify that though. i did draw them, honest!